phew, i am getting this post in just in time! 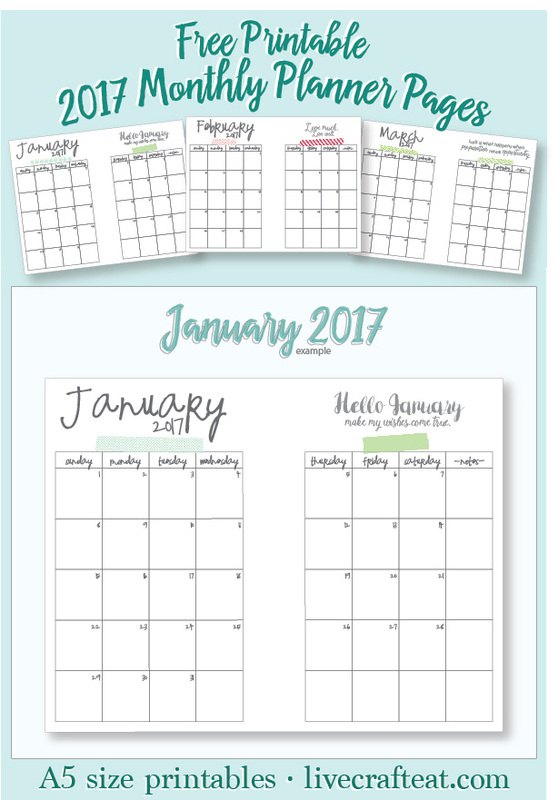 (my free 8.5″ x 11″ printable january 2017 calendar is also up.) i had planned on getting this on the site way earlier but then christmas and everything that it encompasses happened, and i was tired. does anybody else feel that way during/after the holidays? like you just need a break? anyway, i buckled down the other day and got this whole freebie planner calendar done so everyone could have it before the new year (even if it is only one day before the new year!). let’s just say that non-procrastinating is one of my new year goals, shall we? 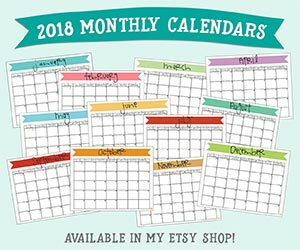 this calendar is great for any A5 size planner – the dimensions are only very, very slightly off from the official A5 size, which is 5.8″ x 8.3″. i’ve made these printables easy to print and cut at home, so you can print them on regular 8.5″ x 11″ paper – the standard size paper that we all use – and then all you have to do is cut these pages in half into an 8.5″ x 5.5″ size. super easy, especially if you have a simple paper cutter (aff link) that measures it out and cuts it in a straight line for you!! there is also another way you can use these without having an A5 planner or a binder and that is to make your own planner using a cereal box! yes, it’s true!! you can make it any size you want, it’s really easy to make and is super cute. you can see how i made my cereal box planner here, and you can also see how i organized these printable monthly calendars in my cereal box planner…there is a weekly printable available on that post, too. they are already pre-dated with 2017 dates, have a notes column for anything you might want to jot in, and each month comes with a little motivational or otherwise awesome quote. 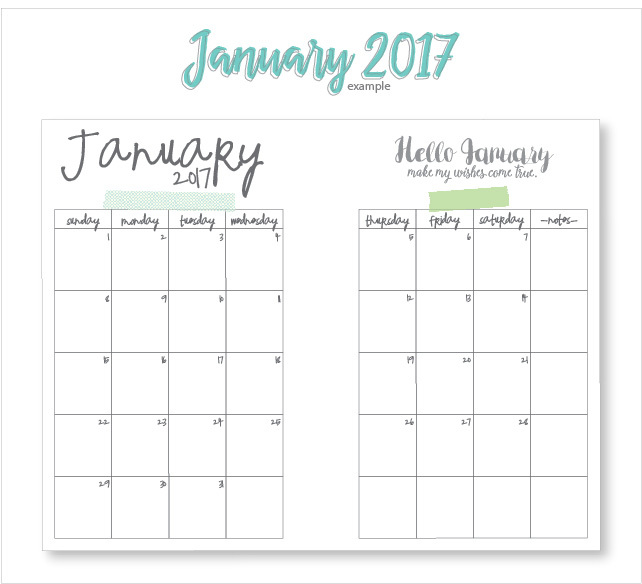 so now all you have to do is print, cut one line right down the middle, punch some holes where you need them to fit your planner/binder/cereal box planner, and you are ready to get your 2017 organized!! 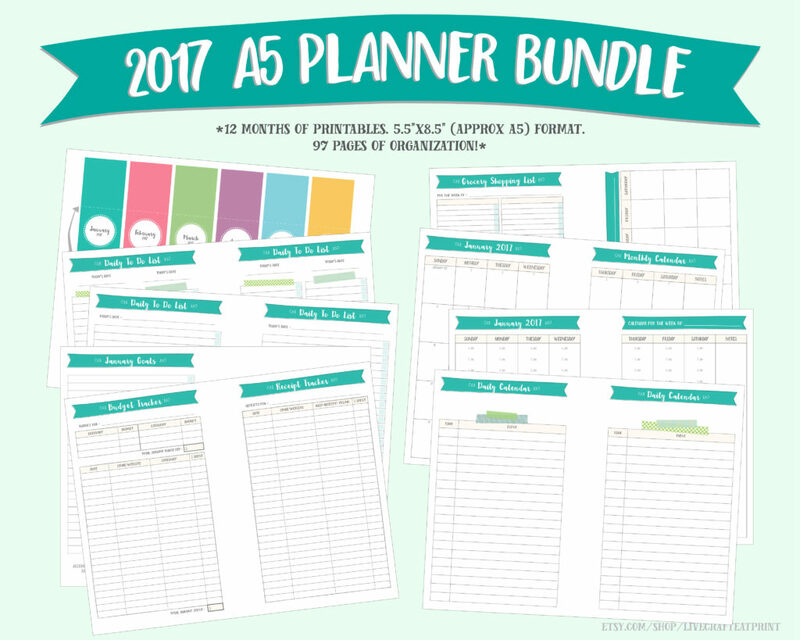 so without further ado, click here to download your free printable A5 size 2017 monthly planner pages!! they are available in pdf format, so just download, print, and you’re set! This is such a sweet comment – thank you so much! I’m glad you like them!! Thanks!! I love this calendar so much! Simple, cute and just what I needed. Thank you! Hi! I love this A5 2017 planner! Are you going to do a 2018 any time soon? thank you! i’m so glad you love it! i usually come out with the following year’s calendars around end of october/november. I absolutely love your planner pages! I am a teacher and use these every day. I especially like your monthly, 2-page planner pages. It makes me so happy to see such cute pages in my planer. I PRAY that you are working on 2018 ones!!! Please!! Yay! I’m so glad you like them! Yes, I am working on ones for 2018. They should be ready by November/December. Thanks, Emily! Yes, I will be making these again for 2018. The should be available around November/December. 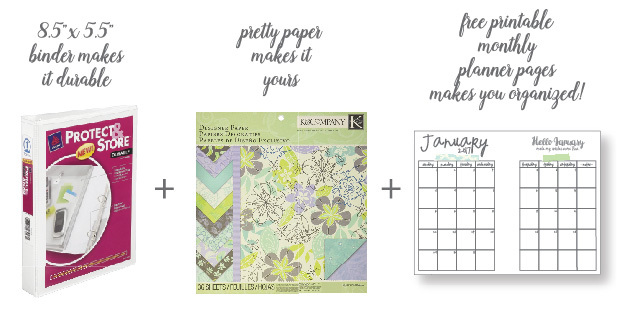 Hi Katie, I absolutely love your free printable calendars and have used them for the past few years. Can I check whether you are still planning to produce a 2018 one? Many thanks and happy Christmas to you! I am unable to print the 2017 A5 planner. I used this last year and loved it. Can you assist me again with it. Hi Linda! Are you able to download the PDF from the site? Do you have Adobe Reader? I just went over to the blog post and clicked on the link and they opened up fine for me. Just wondering if you could be more specific with the issue you’re having? If you’re able to download them and can see them on your screen but aren’t able to print them, then it’s probably a printer setting you need to look at. Hope that helps! Let me know how I can help! I’m having an issue printing these as well, I know it’s almost time for the 2018 and I assume the format will be the same. The issue I’m having is that the PDF is formatted for a standard 8.5×11 page, but I am trying to print onto A5 paper. If you haven’t done the 2018 ones yet, would you consider formatting them to A5 pages. Putting 2 A5 images onto one 8.5×11 page is easy, but printing one 8.5×11 image onto two A5 pages is a challenge without a PDF editor. Thanks for your comment! Yes, the format is the same for 2018. I do them on 8.5″x11″ because that is the standard paper size and what most home printers accept and this printable has always been intended for the majority of people and what they would typically use at home. Plus, doing it in a different size creates more work for me, and I already put a lot of time into my blog/freebies/printables, etc. I’m sorry this doesn’t help you 🙁 You may be able to find a shop on Etsy that offers printables in the exact A5 size and format you’re looking for.